Hugh is retired from the U.S. Army and has taken on diving as his “second career”. He is a Master SCUBA Diver Trainer and Instructor Development Course (IDC) Staff Instructor. He can teach everything from the Discover SCUBA course for those who just want to give scuba a try to Assistant Instructor for those who want to start onto the professional track. He is also qualified to teach 15 Specialty Courses such as Wreck, Deep, and Digital Underwater Photographer. He is originally from Georgia and first learned to dive while a student at Georgia Tech, “more years ago than he usually counts”, and he loves the water as much today as he did the first time he entered into the marine world. He is especially good with anyone who may have a little extra anxiety about entering into the marine world. His passion for the amazing underwater world is what brought him and Charlie to South Florida. 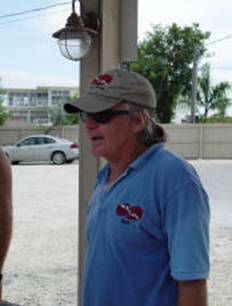 Hugh is an independent instructor affiliated with a couple of different dive centers in Key Largo, Florida. or give him a call at 305 230-9572. Samples of his photographs are below.